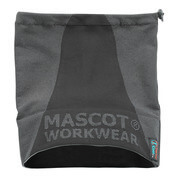 The efficient moisture wicking properties keep the body dry, reducing the risk of chilling. COOLMAX® ALL SEASON has unique properties when worn as the innermost layer next to the skin. It is extremely moisture-wicking due to a special structure that quickly distributes the moisture to a wider area and directs it away from the skin. A particular advantage is that the material is insulating when it’s cold and cooling when it’s hot. The fabric fits closely to the body using a special four-way stretch which makes it flexible and extremely comfortable to wear. The fabric is lightweight and dries quickly. LYCRA® adds comfort, fit, shape retention, durability and freedom of movement. LYCRA ® can be stretched up to seven times its initial length before springing back to the original position once tension is released. LYCRA ® gives stability and holds the sock in place on the foot. Moisture-wicking COOLMAX® ALL SEASON with Duoregulation™ - this product is both insulating in the cold and cooling in the heat. Light weight. Quick drying. Washing Instructions are seamlessly interwoven - to avoid irritating labels.